SOBA provides online undergraduate-level training in programs that blend Biblical Education and Apologetics: a 2-year Associate of Christian Education (A.C.Ed.) can then lead into a 4-year Bachelor of Christian Education (B.C.Ed.). Our A.C.Ed. degree currently provides a choice of several optional tracks to allow concentrated study of different areas of biblical education and apologetics. For a complete description of tracks and courses, see our catalog. 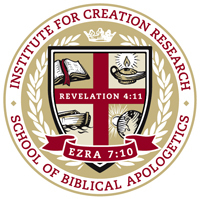 Biblical Apologetics: Biblically sound creation apologetics, detailed primarily in Genesis 1-11, ultimately providing accurate and analytical answers to honest questions along with logical refutations of science "falsely so called" (1 Timothy 6:20). In addition to the above requirements for a minor (or minor equivalent) in Bible, biblical theology, Christian education, Christian ministry, or the like, SOBA reviews prior academic performance as a probable indicator of prospective academic success.